Properties in Rossnowlagh Beach average 4.3 out of 5 stars. Wild Rose Cottage In Scenic South Donegal - WiFi Available. Property 4: Wild Rose Cottage In Scenic South Donegal - WiFi Available. 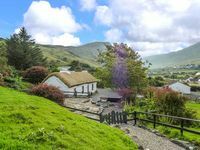 The Little Irish Cottage on the Wild Atlantic Way - experience the real Ireland. Property 11: The Little Irish Cottage on the Wild Atlantic Way - experience the real Ireland. Cosy cottage to relax, unwind and unplug. Property 13: Cosy cottage to relax, unwind and unplug. Overlooking the Loch Melvin and the Leitrim Hills in quiet rural location. Property 14: Overlooking the Loch Melvin and the Leitrim Hills in quiet rural location. BRIGHT COSY APARTMENT - WITH SEA AND SURF VIEWS - RIGHT IN THE CENTRE OF TOWN. Property 15: BRIGHT COSY APARTMENT - WITH SEA AND SURF VIEWS - RIGHT IN THE CENTRE OF TOWN. A picture postcard - come to life! Our family pulled away from this extraordinary spot just hours ago and we haven&rsquo;t stopped raving about what a wonderful time we had. 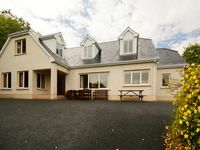 The view was spectacular; the rooms were large, clean, and well-appointed, and the house was perfectly located just a few miles from Donegal town. We had 5 adults &amp; 2 children &mdash; and loads of space to spare (2 bedrooms went unused!). We spent 6 days visiting family in County Donegal and Mountcharles&mdash; and had such a wonderful time that we&rsquo;re already planning our return trip (to hopefully include a stay here!). Thank you! Our stay in Granny Kate's was wonderful - relaxing, fun and authentic. I turned off my email and cell phone, and enjoyed a vacation! The smallest kitchen in Ireland is equipped for cooking, and we enjoyed many meals from it. It was a great base for exploring this corner of Ireland, and for looking at sheep.